Our goal is to provide fast friendly service to all of our valued customers. All orders ship the same day they are placed. Shipping cost for domestic orders within the USA is a single flat rate of $2.95. All products show the actual quantity available, in stock and ready to ship. It will be a while before all of our inventory is listed so please call or send us an email if you don't find what you need. We might just have it and if not, we'll be glad to order it for you. We can also place your Walthers order to save you money. Email or call with the stock numbers for a quote. 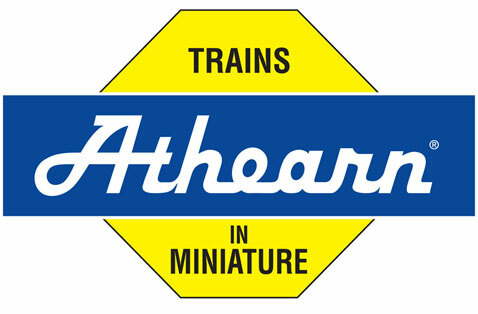 Most of our model train inventory is predominately HO, Hon3 and N scale, we will be glad to order other scales including but not limited to Z, O. On3 and G.
For your DCC needs, we also carry the entire Soundtraxx product line of Tsunami sound decoders as well as Digitrax decoders and DCC starter systems. We maintain a large inventory of Northwest Shortline (NWSL) gears, flywheels, and driveline parts to rebuild your steam or diesel locomotives. The answer to that is simple… Blue Ox Timber was a timber logging company doing business in North Georgia from 1978 until operations ceased in 2008. The first old rusted work horse of a logging truck was nicknamed “Blue Ox” after Babe in the Paul Bunyan fable. The name carried on with the well known company for 30 years. After ceasing operations, owner Steve Funsten started buying and selling HO trains. In no time at all, what started as a small hobby grew into a full time model train business with customers spanning the globe. Nice item, smooth transaction, well packaged, quick shipment. Thanks!! fast delivery! item as described! very happy thank you! Perfect transaction, quick shipping and safely packed. Terrific Ebayer. Everything went smoothly. Nice to do business with. good transaction - item as described, well packed, reasonable shipping times.